Ambati Rayudu's batting form deteriorated completely after he decided to not play domestic four-day cricket anymore. In every sportsperson's life, one will find a uniquely particular moment that changed everything – either for good or for bad. November 3, 2018, was that extremely pivotal moment for Ambati Rayudu which made him go from World Cup number 4 to bitter on Twitter. Only four days before taking a decision that would eventually be fateful, Rayudu had stroked his way to a commendable century against a visiting Windies side at Mumbai's Brabourne Stadium. India had scored 377 runs and Rayudu contributed exactly 100 off 81 balls. Rohit Sharma had made batting look easy with one of his trademark big knocks and thus the bowling attack looked largely helpless. There was high praise for Rayudu following that game as India felt that they had finally found their fix for the number 4 leak. The 33-year-old averaged above 50 after that game, played the spinners with as much ease as the pacers and even had a strike above run-a-ball – what is all the fuss about, one wondered. Skipper Virat Kohli and vice-captain Rohit Sharma were a part of that band as they came out and openly announced that they have found the perfect number 4 for the World Cup. "I think [it's a] very important [knock]. Hopefully, he has solved all the mysteries of number 4. I guess till the World Cup, there won't be any talk of number 4," Rohit had said after Rayudu's century. Ambati Rayudu en route his 3rd ODI century. Captain Kohli was so impressed with Rayudu that, in his usual way, almost oversold him by saying that his team has finally found an 'intelligent' player. "Rayudu has taken his chance with both hands. We need to back him till the 2019 World Cup. He reads the game well, so we are happy that someone intelligent is batting at number four," Kohli had opined after the game in Mumbai. Rayudu's numbers would back all the claims and buoyed by the open declaration of confidence by the key influencers of Indian cricket, he decided to stop playing domestic cricket. "I will continue to play international and domestic matches of the shorter version. And, I take this opportunity to thank the BCCI, HCA, Baroda Cricket Association and also Vidarbha Cricket Association for giving me the opportunities over the years," Rayudu wrote in a letter to the Hyderabad Cricket Association. MS Dhoni backed his decision too as he had also done the same and said that personal choices of players should not be questioned. But there's a difference between Dhoni and Rayudu retiring from domestic cricket. Dhoni had played all forms of the game for India for 15 years and captained the side for 10 years. In this time, he scored over 15,000 international runs and mastered the art of scoring runs in the international arena. 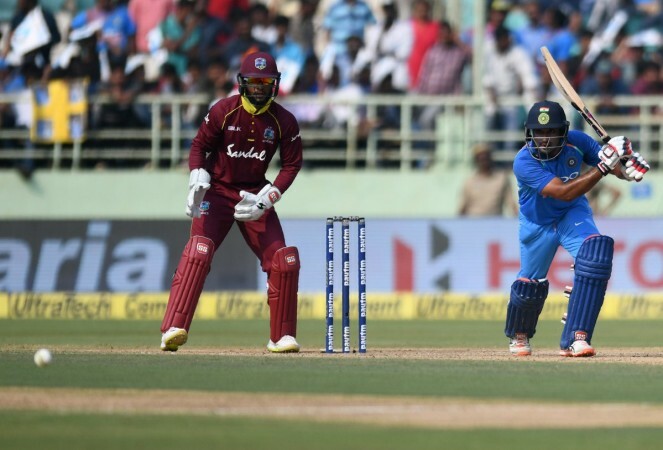 Rayudu, on the other hand, had only played 45 matches for India over five and a half years wherein his numbers were bolstered by three centuries against weak oppositions – Sri Lanka in 2014, Zimbabwe in 2015 and Windies in 2018. He has not been a regular part of the team and only returned to the fold after a strong IPL performance in 2018. He even failed a yo-yo test and with only a few months left before the World Cup, Rayudu decided to call it quits in domestic cricket. Consequently, following the Mumbai ODI in October 2018, the next cricket match he played was on January 12 and he scored a duck in Australia. Since that game, he has looked extremely rusty and failed to make any telling contribution. The only contribution of note was in Wellington wherein he scored 90 runs but even on that occasion, he looked patchy. Such was his bad form that he was dropped twice from the playing XI and since then, even his IPL franchise has demoted him in the batting order. Naturally, when the selection committee and captain Kohli sat down to pick the World Cup team, they went in favour of a person who looked more convincing in his batting than Rayudu. Vijay Shankar was the direct beneficiary, not because he scored a lot of runs, but because Rayudu did not. The chairman of selectors, MSK Prasad, avoided the Rayudu situation by praising Vijay Shankar – calling him a three-dimensional player – in a press conference where the World Cup squad was announced. Rayudu obviously did not read between the lines and sent out a sarcastic tweet. Just Ordered a new set of 3d glasses to watch the world cup ??.. One can feel bad for Rayudu as this was perhaps his last shot at playing a World Cup. It is indeed painful to see one's dream not come true but coming out on Twitter and taking a dig at someone's comments in praise of a fellow professional is hardly the solution to any problem. Ambati Rayudu has only himself to blame because out of everyone else, he got the maximum chances at number 4 and he let it completely slip because his bat could not do the talking.